Looking for a wine cellar? Do you have a variety of wine bottles in your home that are hidden in your cupboards or just hanging out on the counter? Are you ready to organize your growing collection? 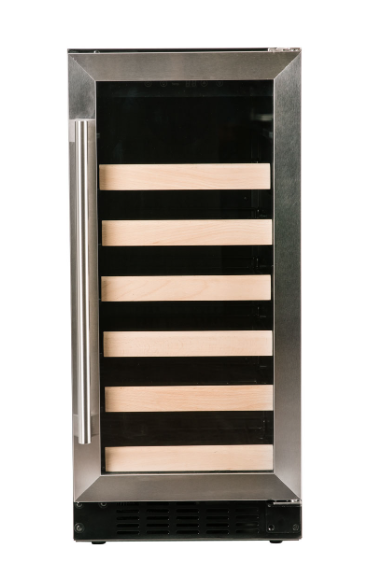 Or are you looking to create a cleaner look in your bar area and know you are storing your wine in a stable environment? Well, it is probably time to invest in wine storage. 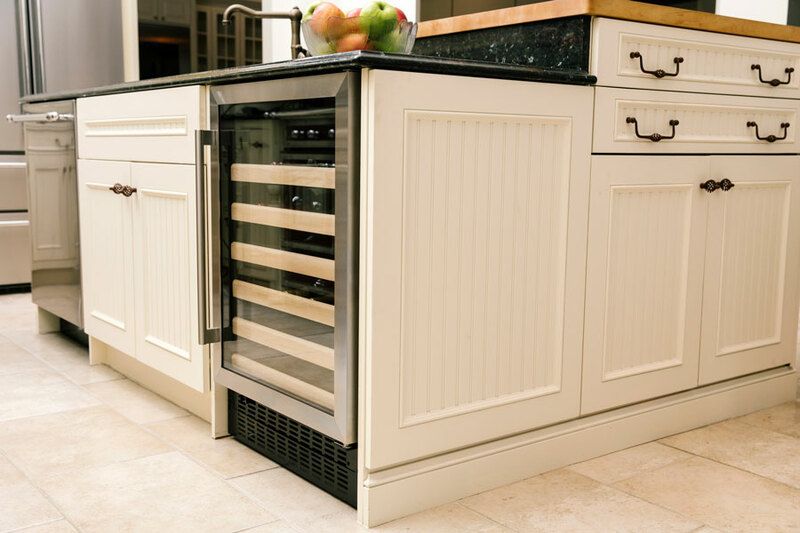 Wine can be fragile and sensitive to temperature so making a good decision on the right unit for your home is important. We have a unit that will work for you! 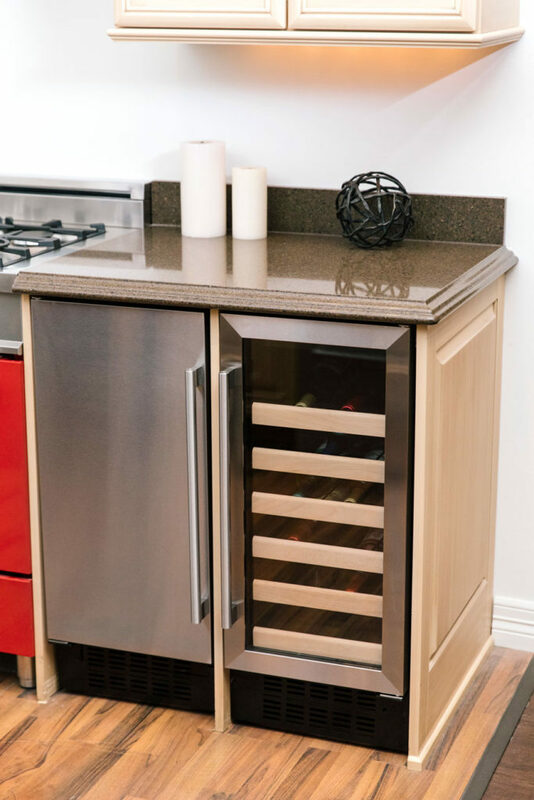 Whether you are looking for a built in or freestanding wine cellar, here is a great unit for your home. Azure offers two different wine cellar sizes. 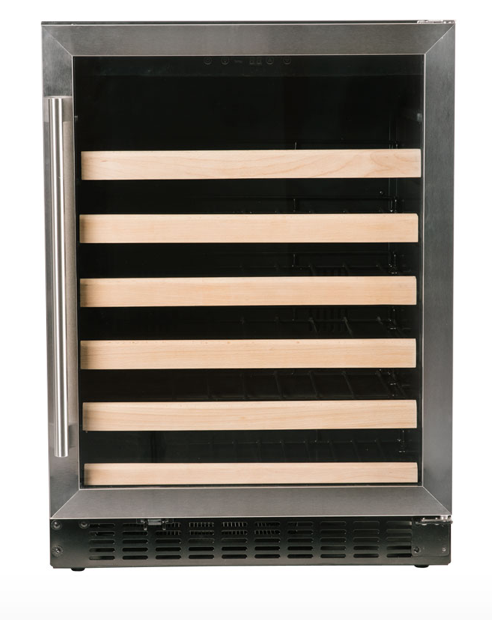 You can choose between a 15″ capacity unit that will hold 30 bottles of wine with six wooden racks. 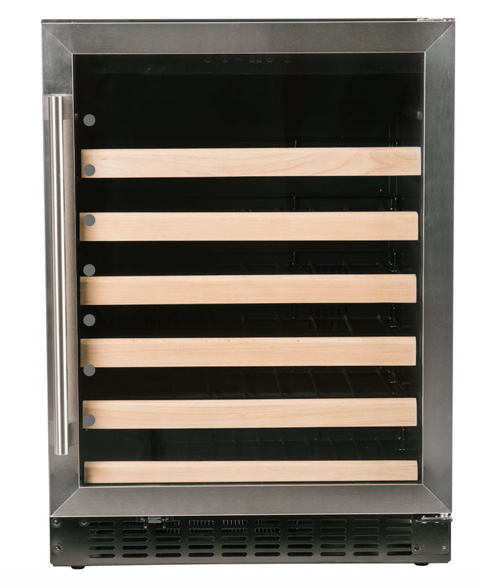 Or a 24″ capacity unit that will hold 48 bottles of wine with six wooden racks. Each unit has digital display controls that are easy to read and you can use to set the temperature with a range of 40-64 degrees Fahrenheit. There is also a cool blue LED lighting that illuminates the interior and adds fun ambience to the unit. The door is reversible, accommodating a left or right side mount for whichever is convenient for your space. This Azure unit is also set to automatically defrost so their is no need for manual cleaning. This unit is ADA compliant and available in a stainless trim or overlay trim option. Wouldn’t this look great in your home? Come shop at Fireside today to pick out your new Azure wine cellar.